Your app's last version was released on February 15, 2018. It is important to regularly update your app. Best practices recommend to update your app every 4 to 6 weeks. This means fixing reported bugs, improving existing features, launching new features etc. Keep an eye on users' feedback. The next great features may already be asked by many users. Gautama Buddha, also known as Siddhartha Gautama, was the Spiritual Teacher who founded Buddhism. In Buddhist traditions, he is the Supreme Buddha of our age. His great wisdom will surely inspire you. - Save your favorite Buddha Quotes! 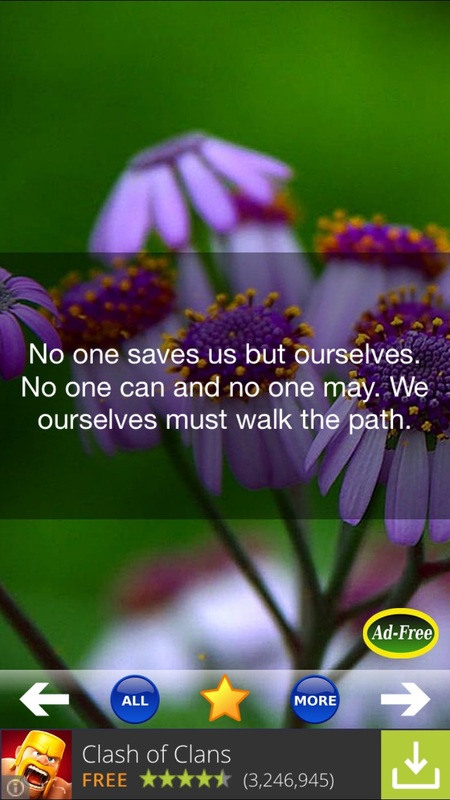 - Share your favorite Buddha Quotes via Email! 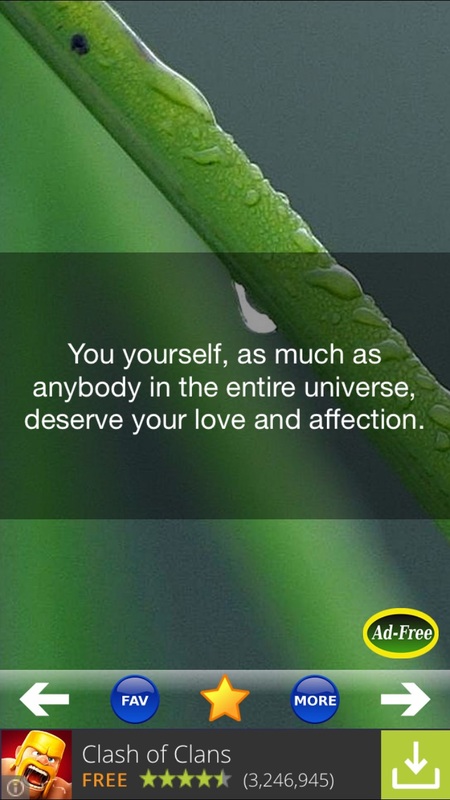 - SMS your favorite Buddha Quotes! - Post your favorite facts directly to Facebook! "This app is simple and perfect!" "Amazing quotes! This app helps me through my daily life. Thank you!" "Nice app! Great for Buddha enthusiasts!" "Kind speech renews us. I found the right words at the right moment and enjoyed this free gift. Thank you!"